If I could give this six stars then I honestly would because Gentle Daily Exfoliant is so well priced for what it is and has left my skin feeling SO MUCH smoother than it has in months. And that's not all, Gentle Daily Exfoliant makes my skin feel cleaner and look more radiant too. 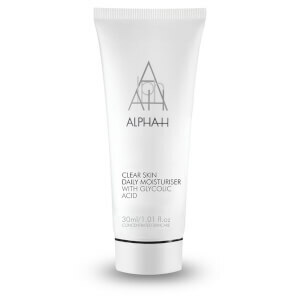 The secret is in the ingredients; Alpha-H use crushed fruit enzymes from Papaya and Pineapple which gently munch away on dead skin cells that sit along the skin's surface, while other exfoliating properties work to clean blocked pores and leave skin looking brighter and smoother. After our first shower session, it was love! I noticed a difference right away and love how gentle it feels on the skin. I read the back of the container for instructions on how to use but did not know what applicator it was referring to as I did not have one with mine but Gentle Daily Exfoliant is very similar to a product I have used from another stellar brand and so I knew how to use this. The packaging is so much better than it's competitors which water gets in to every time I have used. Now that I have been introduced to Gentle Daily Exfoliant, I honestly don't think I could be without it... just keep it out of moisture's reach.